So the rumours are true? 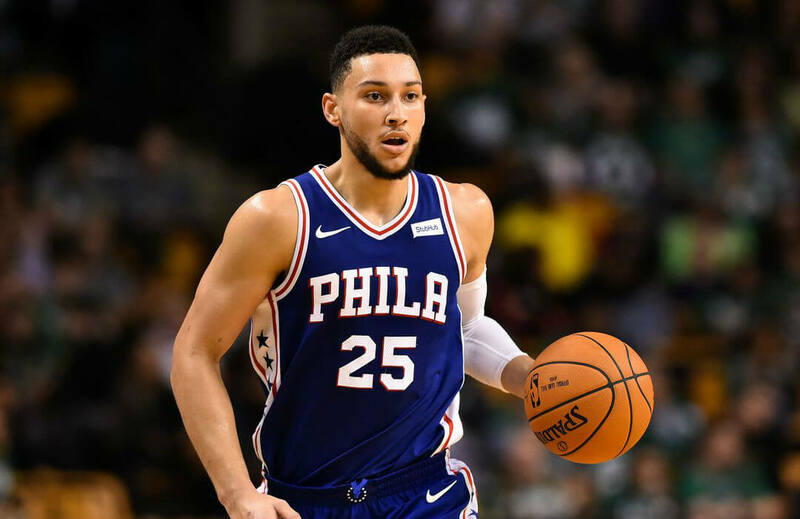 Ben Simmons came up with the first triple-double performance of his career after scoring 21 points with 12 rebounds and 10 assists to help the Philadelphia 76ers defeat the Detroit Pistons 97-86 at Little Caesars Arena. The 2016 first overall pick, who was made the top pick for his potential as a playmaking forward, shot 8-of-11 from the field for an efficient shooting night, sticking to his strengths as he never attempted a shot from the arc. Simmons broke a bone in his foot weeks before last season started, forcing him to sit out the rest of his rookie year but has now had a solid start this term. Teammate Joel Embiid finished with a game-high 30 points on 11-of-15 shooting, along with nine rebounds and a three-pointer in just 29 minutes, though he committed seven turnovers. Reggie Jackson led the Pistons with 16 points, six rebounds and seven assists but missed all five treys, while Avery Bradley added 15 markers and Andre Drummond completed a double-double with 14 points and 14 rebounds. The visitors were in control from the start and ended the first half 56-43 and even led by as much as 21 points, but the hosts fought back in the third and cut the difference to 67-75 after 36 minutes. Anthony Tolliver sank a three pointer near the end of the game to push the Pistons as close as three, but a three-point play from Robert Covington and a trey from JJ Redick saw the Sixers run away with the win. It was Philly’s first win of the season, following losses to the Washington Wizards, Boston Celtics and Toronto Raptors. Detroit is now 2-2, after failing to replicate their 21-point comeback win against the New York Knicks in the game before against the Sixers. Simmons had double-doubles in each of the first three games, but was two assists shy of a triple-double against the Raptors. As of writing, the 21-year-old former LSU standout is averaging 17 points, 10.8 rebounds and seven assists per game, while shooting 49% from the field. Like in college, the 6-foot-9 playmaking forward is yet to polish a shot from the outside, as he has missed his two shots from the arc this season. In his lone year with the Tigers, Simmons averaged 19.2 points, 11.8 rebounds and 4.8 assists, attempting only three three-pointers in 33 games, making only one. Simmons, along with Embiid and 2017 first overall pick Markelle Fultz, is expected to create a Big 3 for the Sixers, but Fultz has been struggling in his first four games. The 19-year-old lefty was demoted to the bench just before the season because of issues in his shooting form, and he has failed to prove his detractors wrong so far. Through four games, Fultz is averaging just 6.0 points, 2.3 rebounds and 1.75 assists in just around 19 minutes per game. He is shooting just 33% from the field, and 50% from the foul line, without any three-point attempts yet.